If you need a shave or a haircut then boy do I have the place for you. 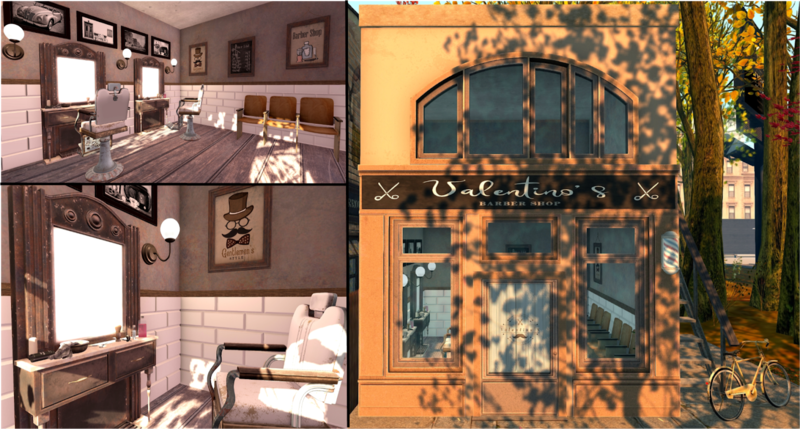 This awesome gacha set is from Serenity Style and is Valentino's Barber Shop. The gacha set contains all you see here with the building as an Ultra-rare and the barber's chair as a rare. You will find this at 6th Republic when it opens on the 6th and as the theme this round is 'Past" you will find some amazing items for sure. I have set this all up at The Best of SL Boulevard so you can go take a sneak peek before the event opens if you want.